Bigbazaar Smart Search: Get Exclusive Offers only on Google, Do you know about Bigbazaar smart search? Smart Search is a digital enabled Sale by Big Bazaar where customers can get great offers and deals on quality products. Today Bigbazaar has officially announced its Smart Search Offer, This offer is going to live on 30th November 2018. 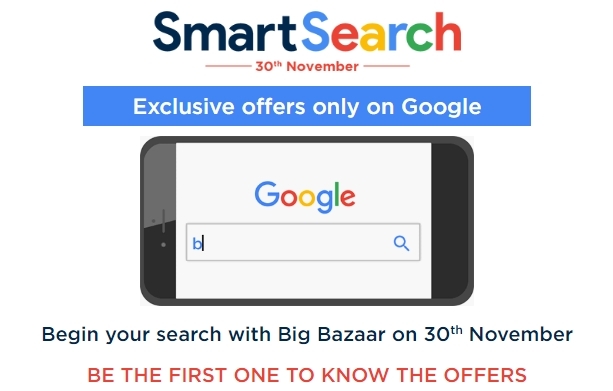 Smart Search offers and coupons can be availed through searching on Google on 30th November only and the offers can be redeemed at Big Bazaar stores across India on 1st – 2nd November. So Follow below given steps to know more. Get Exclusive Offers only on Google. Offer is valid on 30th November 2018. Where to Redeem Bigbazaar smart search coupons ? How to Get Exclusive Offers only on Google? Now Enter your name, mobile number, email id and city. Now Enter Your Mobile Number And Choose A Option. Then click on send me the offer. 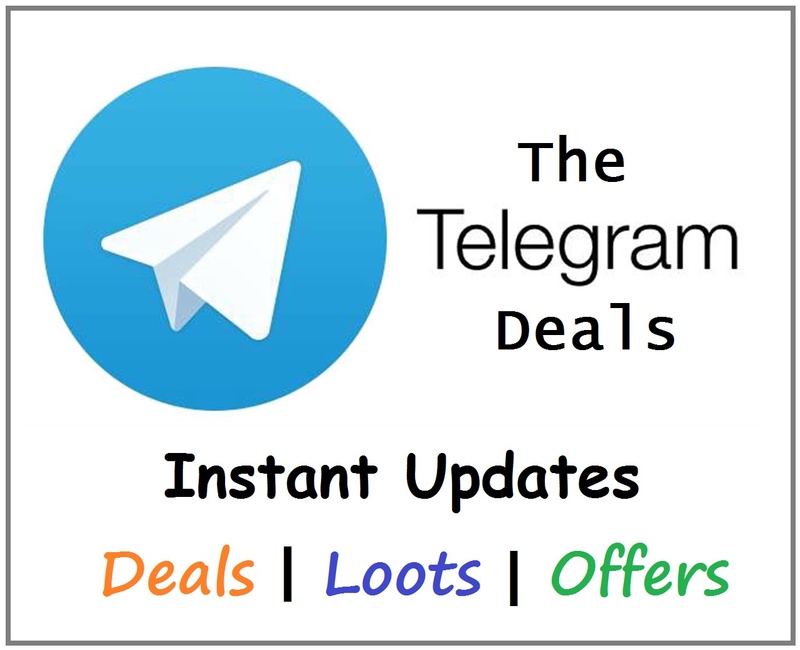 Within few minutes you will get a coupon on your registered mobile number. Visit any Bigbazaar Nearest outlet between 1st & 2nd Dec 2018. Do shopping according to your coupon details. At checkout show your coupon code to the cashier. You will get discounts on your purchase. Coupon code is valid only only on 1st – 2nd December, 10am – 10pm across all Big Bazaar, fbb, Food Bazaar stores as per the offer. Smart Search is a digital enabled Sale by Big Bazaar where customers can get great offers and deals on quality products. The coupon code is needed to avail the offer at the store. Any of your friends and family can redeem it for you if you share your coupon code received by SMS. Smart Search Offers are valid only on 1st – 2nd December, across Big Bazaar/fbb/food bazaar stores.